DIT is seeking applications from interested candidates who are available for one month up to three months in January, February and March 2019. 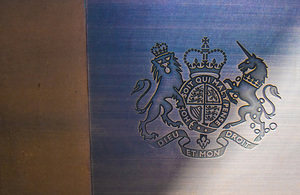 The Department for International Trade (DIT) promotes British trade and investment around the world; helps to build an appetite for British goods and services globally; and works to encourage foreign investment into the UK. DIT also brings together policy, promotion and financial expertise to break down barriers to trade & investment and to help businesses to succeed. DIT is seeking applications from interested candidates who are available for one month up to three months in January, February and March 2019. The successful applicants will work in a highly experienced and motivated team and will be tasked with targeted research and outreach work across different campaigns and sectors including rail, light weight structures, food manufacturing, financial and professional services and defence. Language proficiency in both written and spoken German & English is essential (ideally C1 or C2). Furthermore, the candidate should have advanced Word and Excel skills (e.g. mail merge, complex tables). We are offering full-time internships for one to three months at the British Embassy Vienna, with working hours 9am to 5pm from Monday to Friday (35h per week), January to March 2019, starting ideally as soon as possible. The successful intern will be subject to confirmation of a background check and security clearance. It is the applicant’s responsibility to ensure they are legally able to work in Austria. The Embassy is not able to assist with any visa or sponsorship arrangements. Payment for this internship will be 1.000 EUR/month. All applicants should have the right to live and work in Austria. The British Embassy does not sponsor work permits.